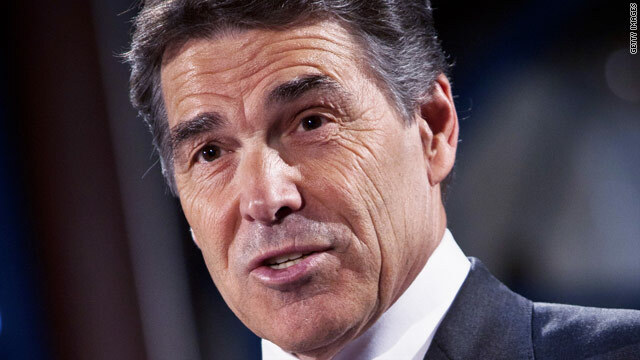 (CNN) - GOP presidential candidate Rick Perry said if he had made any mistakes thus far in the campaign, it was "probably ever doing one of the" debates. "All they’re interested in is stirring it up between the candidates instead of really talking about the issues that are important to the American people," Perry said on Fox News Tuesday. Answering criticism over his debate performances, the Texas governor has repeatedly said Americans weren't looking for the "slickest" candidate or the smoothest debater in the race. Perry, who rolled out his flat-tax plan Tuesday in South Carolina, again said he used the wrong word when describing people who disagreed with him on immigration as "heartless." He first dialed back his remark in late September after facing a strong reaction from within the GOP. Perry originally made the comment at the Fox News/Google debate in Florida after taking heat for signing off on a Texas law that allows tuition credits to certain illegal immigrants at public universities. In the interview Tuesday, Perry also took a shot at former Massachusetts Gov. Mitt Romney, who sparred with Perry during the CNN Western Republican Presidential Debate last week in Las Vegas. Continuing his attack on Romney as a flip-flopper, Perry said: "In his own words, he says 'Listen, I need to say whatever I need to say for whatever office I'm running for'." Perry is absolutely correct,. he is SORRY!! Perry scares me. Romney has my vote. Go Mitt! Could it be that Perry and the other “Pretenders” have no ideas or solutions that are worth debating? Could it be that this turns the “debates” into a circus? The brain dead Republicans really should be paying more attention to one of their own (Jeb Bush)and they might have a real chance at winning the Presidency come 2012. Come to think of it, the only way the Republican Party has a real chance of winning the 2012 election is if Jeb Bush actually runs for the Presidency in 2012. He is the only Republican saying the right things and showing real political savvy and intelligence. The Independents that are sitting on the fence will definitely consider a man of Jeb's conservative pedigree and political background. Right now the only person with a chance is Mr. Romney and he has some serious problems in his own party that he must over come. If the economy does start to turn around before the election then President Obama will get the lift he will need to make his run for a second term easier for him. Remember, the American public likes to elect incumbents and is a forgiving people. Did Perry show us his long form birth certificate? Anyway, he better get in the debates or get out of politics. He should set an example for "Joe the Bummer" to follow. Perry's face is dripping with that Texas beef. Did he get more than his fair share? I've stopped being "surprised" at the audacity displayed by these wannabes yet it bears pointing out that he states being sorry for participating in the debates NOT for being ill-prepared for them. It takes a special size of cojones to be this arrogant. Perry said: "In his own words, he says 'Listen, I need to say whatever I need to say for whatever office I'm running for'." So what does that quote tell you? Most people here should feel sorry for Gov. Perry. The debates hurt his chances of being annointed President by Bible thumping hypocrites. Now it is everyone's fault that a 'great man' chosen by God has fallen to single digits in the polls. Gov. Perry shouldn't worry because this is just a trial. Just ask Pete Hoestra who quit a cozy congressional job to run for Governor only to find himself unemployed. In his case, he may have misinterpreted what God wanted him to do.....just a tiny bit! I am quite sure unemployment was not one of the things God intended for his beloved follower. Perry Pretty Hair has been in politics for 20 years, only debated 4 times, can't debate now. Bottom line is he isn't capable of anything (it shows in Texas). His excuse is to do town hall meetings. Really Perry? So never mind being interviewed by the nation to determine your capabilities, let's keep it low keep where nobody will point fingers at you and bring out your real ineptitude. Come back to Texas where you said, they don't treat bad people real nice. You fit the boots, don't you? The campaigns are intended to be a crucible to vet the character and thinking power of the candidates. The American People need to know if you can take the heat and make rational statements and decisions under pressure. Since you can't do either, please drop out and endorse someone that can.